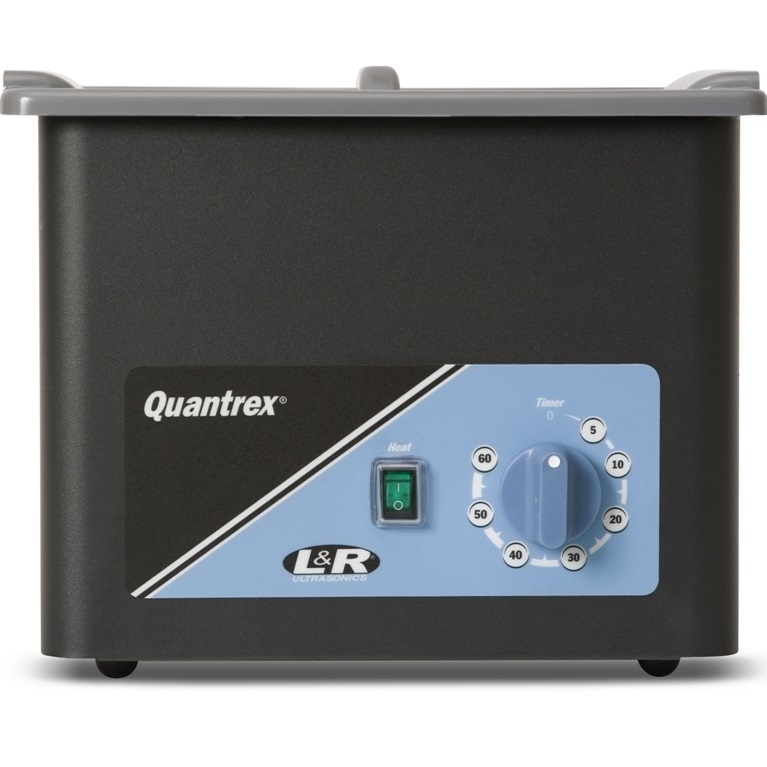 LR00610 3Qt L&R Quantrex 140H with Timer and Heater. The Quantrex Ultrasonic Cleaning System line provides super strength cleaning everytime. Versatile enough for a variety of cleaning applications.The Quantrex Product Line is constructed of a vinyl clad metal wrapper and stainless steel tank, using only the best materials and workmanship. Each tank and body is carefully inspected for strength and durability.